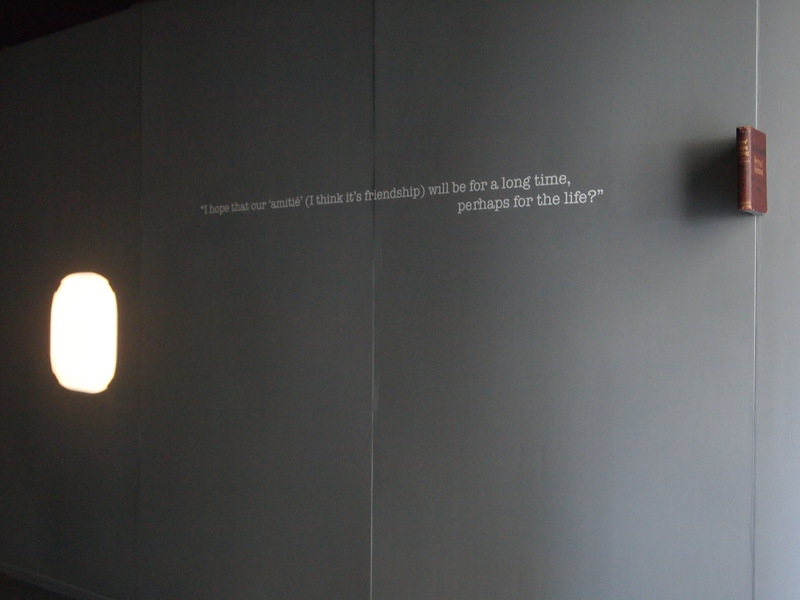 My latest work, ‘Post Script’, is an installation developed for York St. John Create12 exhibition. The piece focuses on the dying art of letter writing and was instigated by correspondence from my French penfriend, Thérèse, in the 1970′s. It celebrates the written word as a tool to engender bonding and friendship whilst manifesting a contrast to the technological progression of e-mails, texts and tweets. The two headed, mythical Roman god of portals, beginnings and endings, Janus, provides a pertinent reference for my own image. 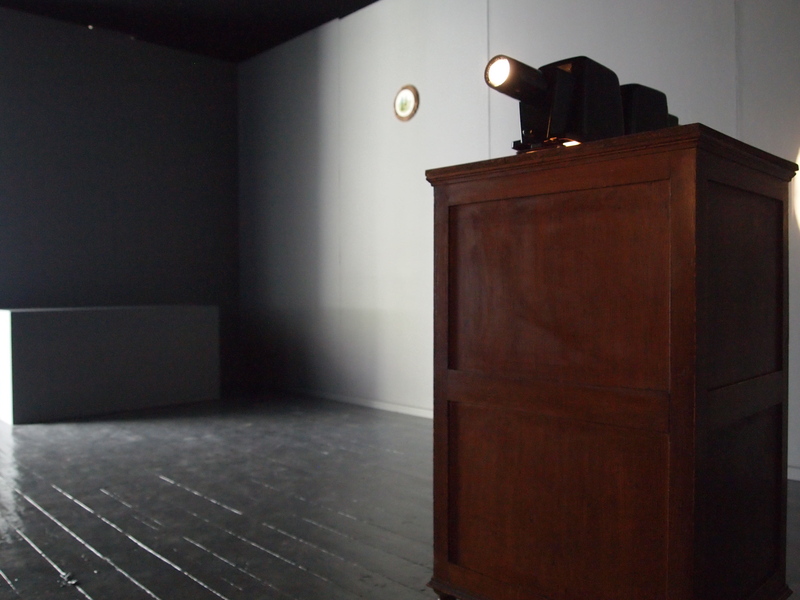 Echoing the multi-directional gaze of the image, two slide projectors cast light on opposite walls, highlighting loss/obsoletion. A plaque from Picardie (gift from Thérèse) sits on one wall, whilst a book ‘How to Write Letters’, protrudes from the opposite wall. The sentence ‘I hope that our “amitié” ( I think it’s friendship) will be for a long time, perhaps for the life’, is fixed in white vinyl, alongside the book. 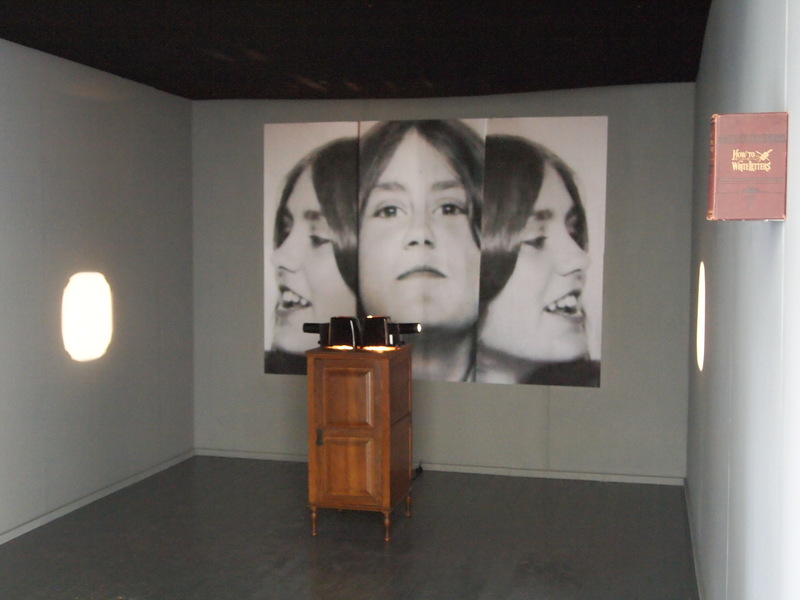 A looped recording of readings from the letters plays for the viewer and emanates from the closed cabinet.